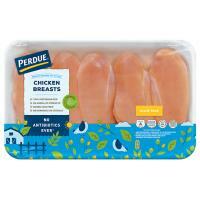 Perdue chickens are always fed a 100% vegetarian diet, including locally sourced corn, soybeans and marigolds. Tastes great. Is good when you find your self short on time but still want a hot meal. Love the product. Use it often. It's a great quick and easy way to make a cool summer salad. Great for lunch, salads and fajitas.